Pelham is now home to the first permanent Model Aeronautics Association of Canada (MAAC) sanctioned FPV multirotor field in Canada. 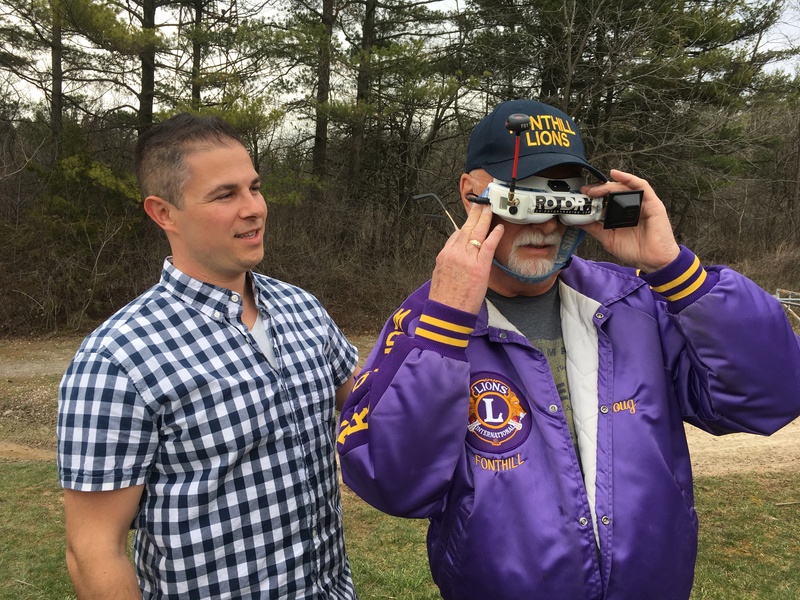 The drone-racing track is located at the Fonthill Lions’ Gordon L. Klager Park thanks to a partnership between the Fonthill Lions and the Niagara FPV Squad. FPV racing is an exciting new sport that combines high-tech drones and high-speed racing. ‘FPV’ means First Person View. The pilots wear a pair of goggles with screens inside of them that display what the camera on the drone is capturing. They fly by seeing from the drone’s point of view and steering with a remote control. The race track is operated by the Niagara FPV Squad, a non-profit organization leading the drive for First Person View (FPV) Drone racing in the Niagara Region and at the forefront of the drone racing scene in Canada. Niagara FPV Squad is the only Tier 1 Multi GP chapter in Canada and is currently also mentoring 4 other chapters. Recently, local members of the Niagara FPV Squad, Abbey Solomon and Trevor Christensen, demonstrated drone racing first hand, inside the Fonthill Lions clubhouse and requested the opportunity to partner with the Lions for exclusive use of a section of their privately owned community park. The Niagara FPV Squad is on a mission is to bring the rapidly growing sport of FPV drone racing to a broader audience and tomorrow’s youth. Earlier this Spring they joined in a partnership with the science department of E.L. Crossley to form a science, technology, engineering and mathematics (STEM) program based FPV high school racing team. Sixteen students will be taking the dive into FPV by building, tuning, learning to fly then eventually racing. With the guidance of Niagara FPV Squad walking them through each step of the way.